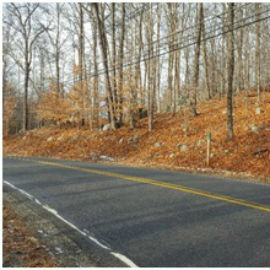 There are two trails in Briar Ridge Park, one on each side of Andover-Mohawk Road. Exit 25 off Route 80, take Route 206 North to Lenape Road to Andover-Mohawk Road. Travel about 2.9 miles to a small pull-off on the left side of road. The pull off is between the North and South Trailheads. 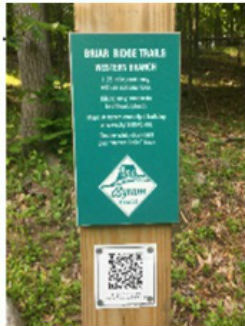 These 1.5 mile and 1 mile trails are in Bridge Ridge Park, on both sides of Andover-Mohawk Road. The North Trail ascends to a scenic vista over Lake Mohawk and descends to Whippoorwill Road, but access is off Andover-Mohawk Road. 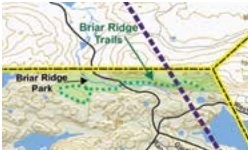 This 1.5 mile trail includes an optional .25 mile loop. This trail is considered moderate to difficult with steep sections. The South Trail is less steep, with a loop at the top near a wetlands and another large wetlands besides the trailhead on Andover-Mohawk Road. This trail is considered moderate and has some rocky sections. A hiker recently advised that a mother red tail hawk has decided to make her nest about 50 yards from the trail end! Photos will be posted when available!